According to legend, Ollolai was the residence of Hospito, dux of the Barbagians, confirmed by an official letter (594 AD) from Pope Gregory I asking for his help in encouraging his people to convert. The village's name is a reference to the rebellious nature of the ancestors from Ollolai, which perhaps comes from the ancient alalè, the war cry of war of the tribes in the area before the battle. The power continued on in the Giudicale period: the village was an administrative centre. Today, with one thousand 500 inhabitants, it gives a name to the historical territory in which it is the most important centre, Barbagia di Ollolai. The asphodel, which colours the nearby countryside, is the raw material used in the art of weaving. 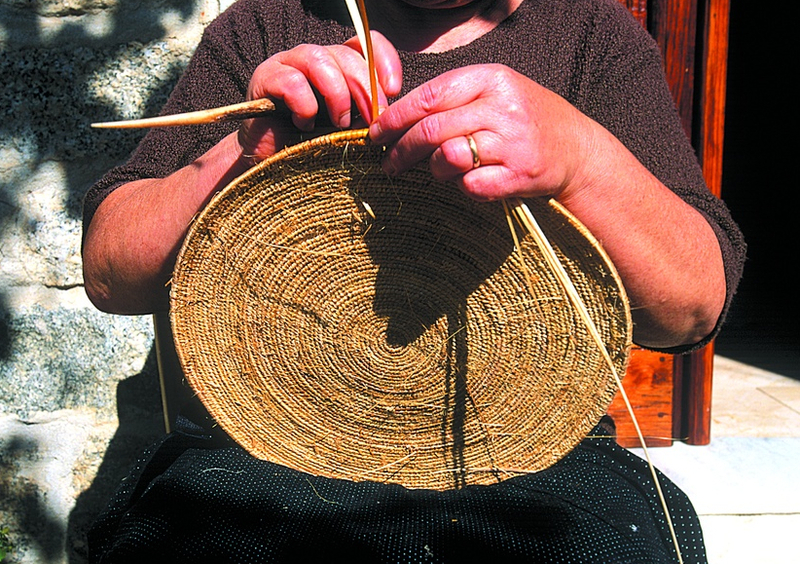 You can admire the baskets made by the skilful hands of the Ollolai women in the de s' iscrarionzu exhibition. You can watch them as they work during the village festivities and, in November, when Autumn in Barbagia stops here. Together, you will also be able to participate in the ancient fighting matches, s'istrumpa, possibly of Nuragic origin. Then you can visit the granite houses with dark stone portals, positioned around the parish church of San Michele Arcangelo, once a Gothic-Aragonese church and later restructured several times. Inside it, there are several paintings by Carmelo Floris, depicting the women of Ollolai in their splendid traditional dress. The patron saint is celebrated twice: at the beginning of May and at the end of September. In mid-January, during the Fuochi di Sant'Antonio Abate (Fires of St. Anthony), wine and the typical pastry, su pistiddu, are offered The festivity of San Bartolomeo (St. Bartholomew), at the end of August, is the most heartfelt. In July, the village's five historical districts compete with each other in the palio degli asinelli (donkey race). The village is surrounded by green Mediterranean scrub, secular holm oaks, yew trees and oak trees and is moistened by a myriad of springs. It is located at an altitude of almost one thousand metres, on the slopes of Mount Santu Basili. At the top, stands the Church of San Basilio Magno, built during the Byzantine age and rebuilt in the 20th century. The trachyte ashlars of the original construction were reused for the cumbessias, lodgings for pilgrims, surrounding the building. The saint is celebrated on the first day of September, New Year's Day in the Byzantine calendar. Nearby you will see the remains of an ancient Franciscan monastery, abandoned at the end of the 15th century following a feud between the Ladu and the Arbau families. 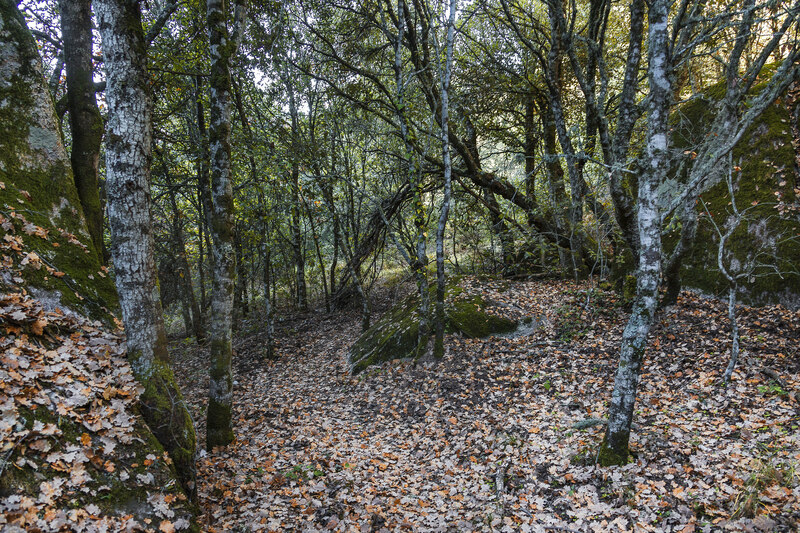 The roots of Ollolai reside in the archaeological park of Santu Basili. The first traces of humans here date back to the Middle Neolithic age (4000 BC), in tombs carved out of the tafoni and shelters under the rocks, like Sa Conca Frabica, used until the Iron Age. The remains of a Nuragic village can be found near the church. The territory is dotted with other nuraghi and by the settlement of su Triqinzu, which can be reached from the spectacular road that leads to the Cucchinadorza lake. Nearby, other granite peaks stand out, over 1100 metres hi which Su Nodu de s' Aschisorgiu (rocks of the treasure), 'Sardinia's window': from here, on a clear day, you can see as far as the sea to the east and the west of the Island.